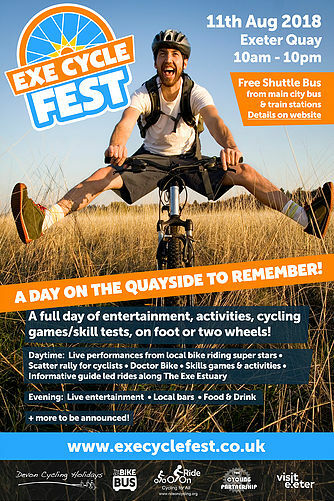 Exeter's festival of all things cycling! The Exeter Cycle Festival, taking place on August 11 at the Quay, will be a day to inspire with something for everyone to enjoy. The event will host activities and skills games, free cycling training, a scatter rally for cyclists and a vibrant procession of bikes from all ages, shapes and sizes. It will be an opportunity to socialise and enjoy good company with the bar and live entertainment starting from 6pm. Why wouldn't you get involved?